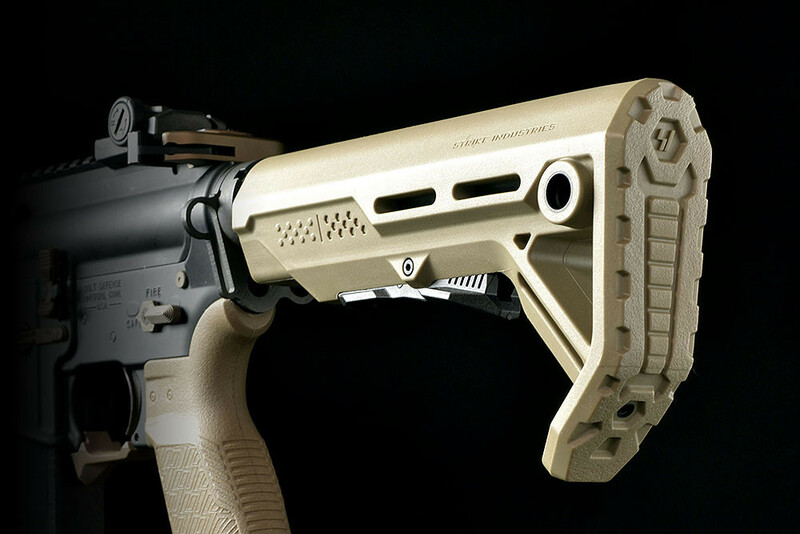 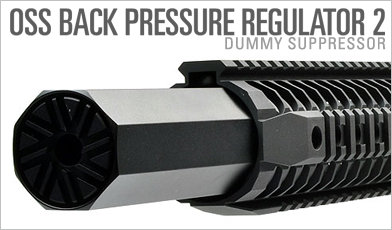 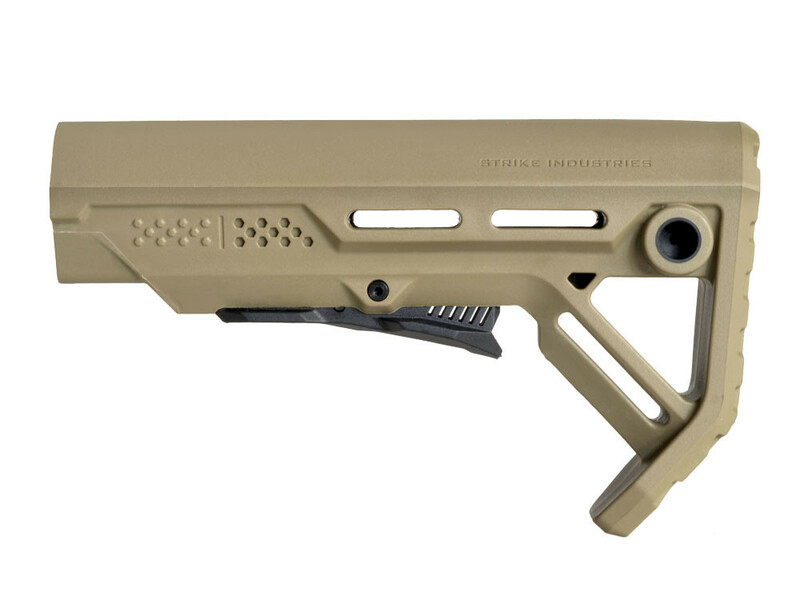 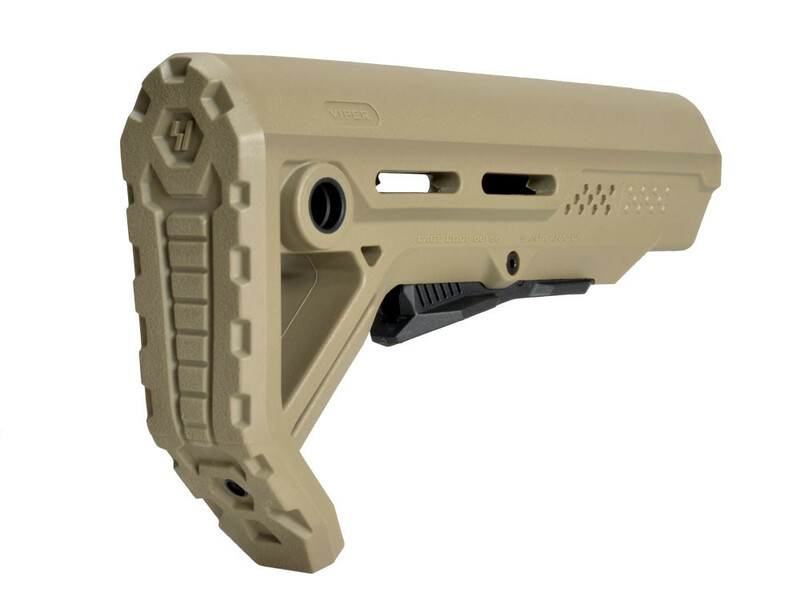 Strike Industries drop-in replacement buttstock for AR/15/M16 carbine using mil-spec sized receiver extension tubes. 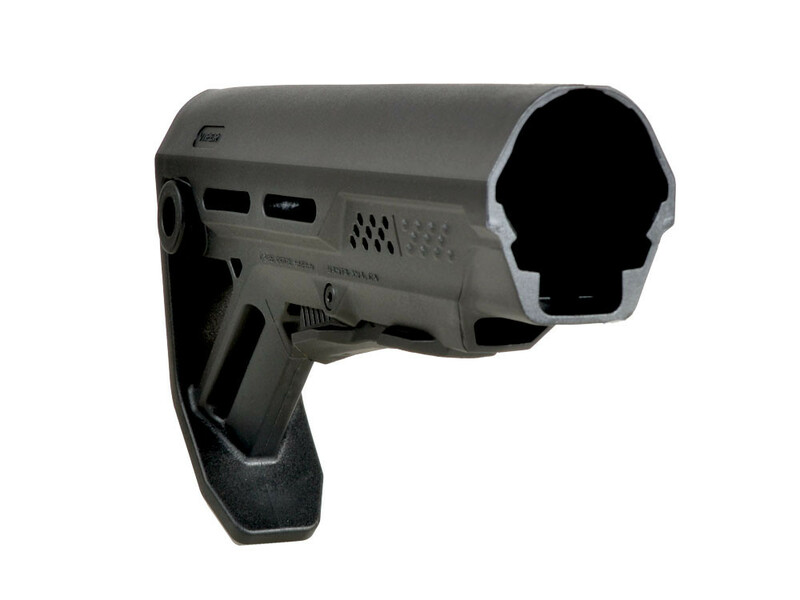 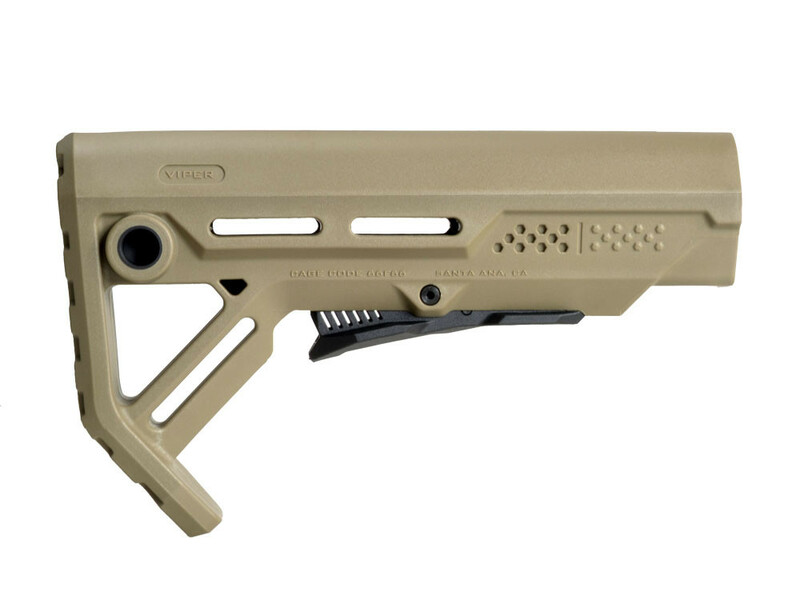 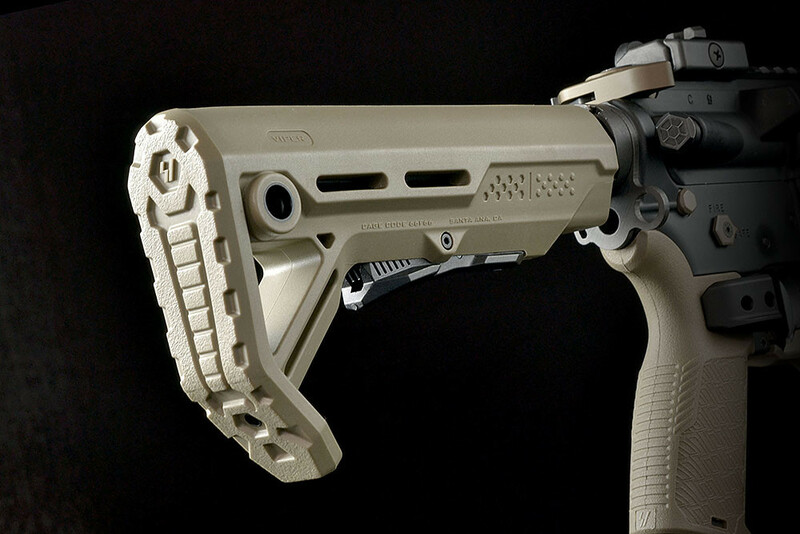 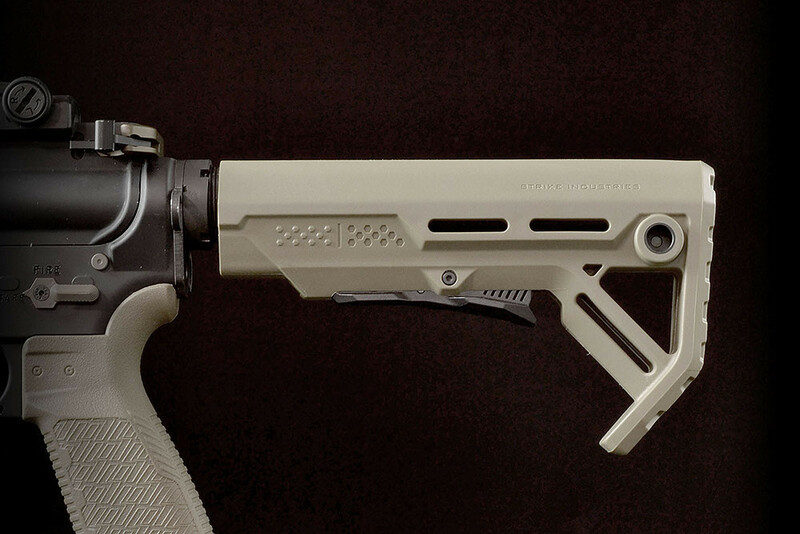 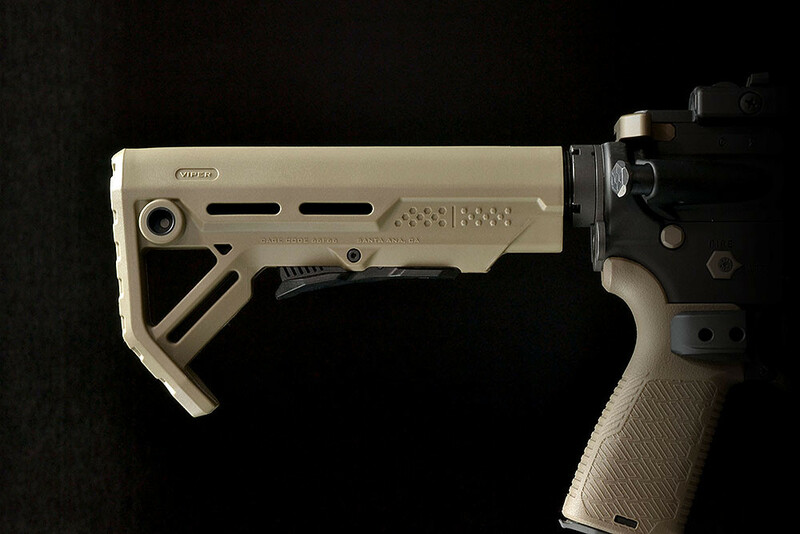 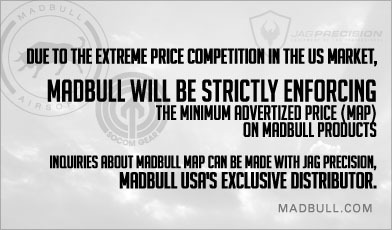 The Viper stock integrates features sought by military professionals and firearms enthusiasts around the world. 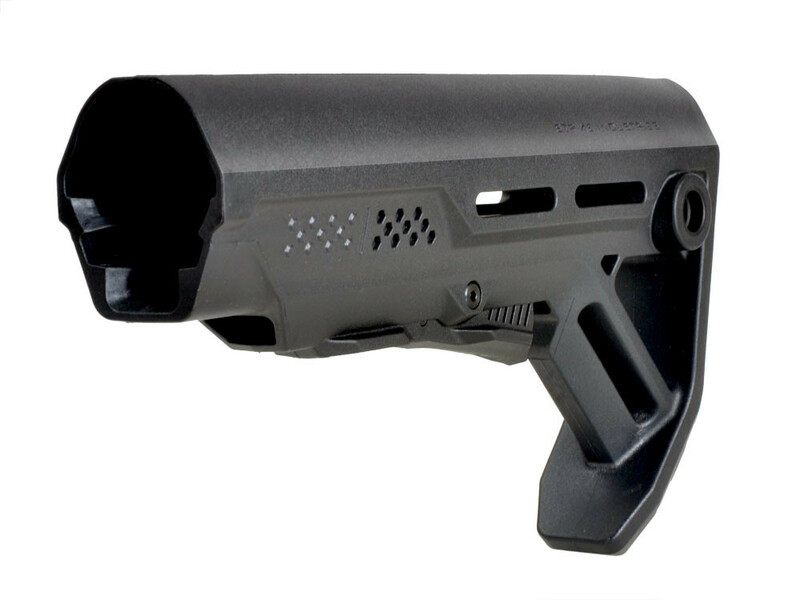 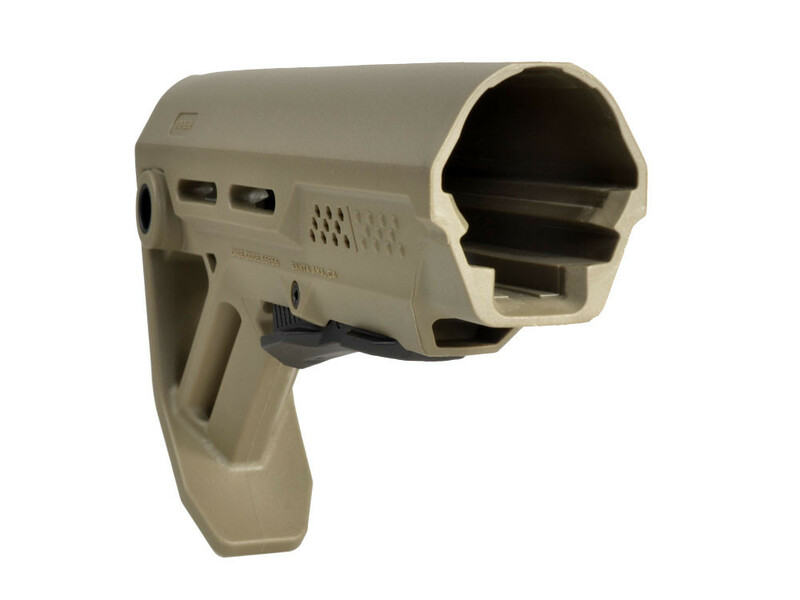 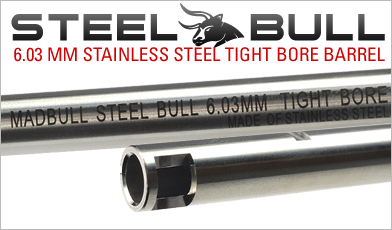 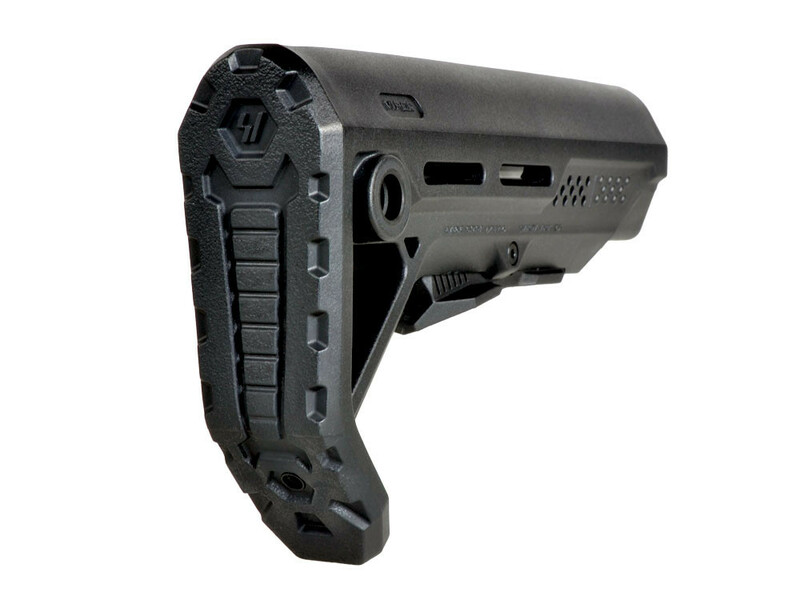 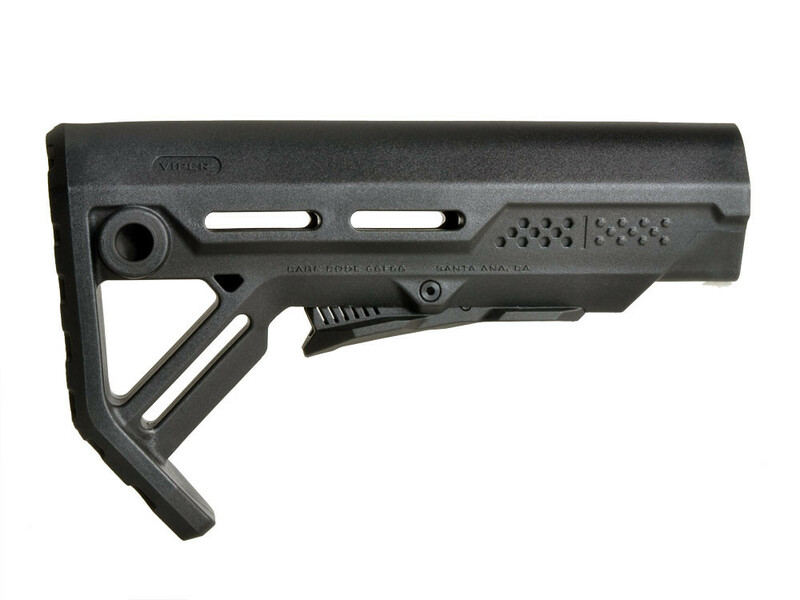 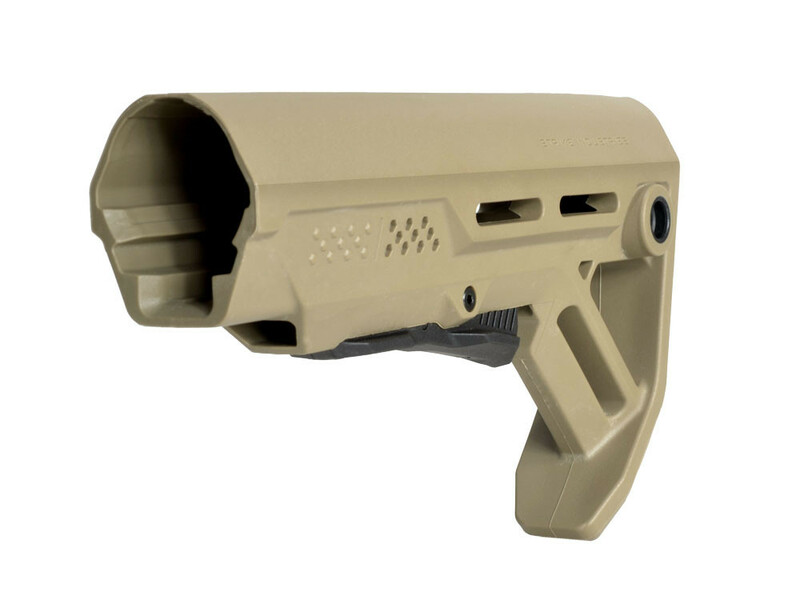 Strike Industries came up with a lighter, compact buttstock, at an even more attractive price point.